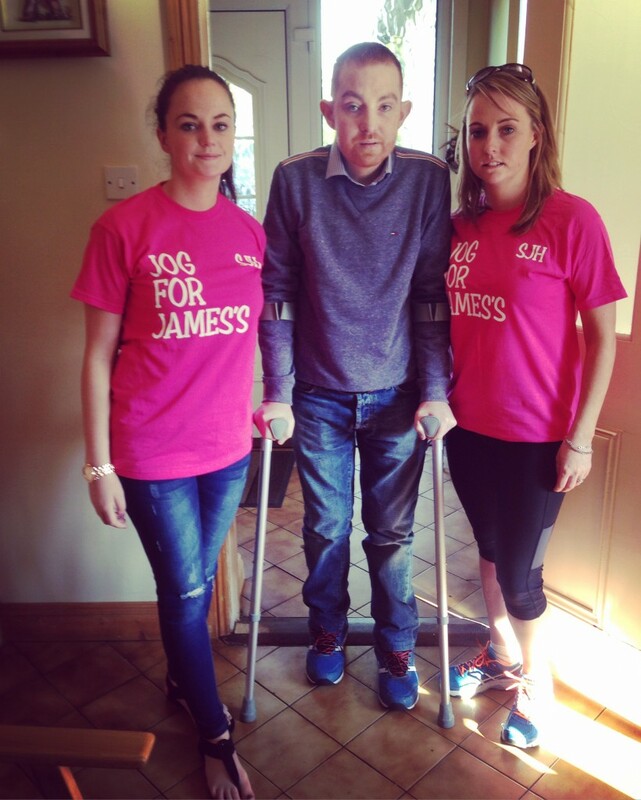 Orla McCormack tells us in her own words how her brother Alan has inspired Orla and 15 of their family, friends and neighbours to take up the challenge and walk, jog or run for St. James’s Hospital in the upcoming VHI Women’s Mini Marathon. On the 1st March 2015, my brother Alan went to casualty in Midlands Regional Hospital Mullingar. Following many tests there, and at Midlands Regional Hospital Tullamore, Alan was diagnosed with Non-Hodgkin’s Lymphoma on March 10th and was transferred to St. James’s Hospital for treatment. Little did we know at that time, that this hospital would become a home for Alan (with minimal visits home to Westmeath and those few visits he did have only being for a couple of days at a time) and that the staff would become another family for Alan for the next 14 months. During the months of visiting Alan at various different oncology wards in St. James’s Hospital, my family and I met some neighbours and friends who were undergoing treatment in the hospital at the same time. Sometimes, it was like a Westmeath reunion when we went up there, such was the numbers of people we knew receiving treatment. Now 14 months on, after extensive treatment, including chemotherapy, radiation, a bone marrow transplant, a hip replacement and another hip replacement in the pipeline, we are delighted to have our brother home! The care Alan received by the nurses and care staff on a daily basis was superb and we are forever grateful. So why did we choose to do the Women’s Mini Marathon?